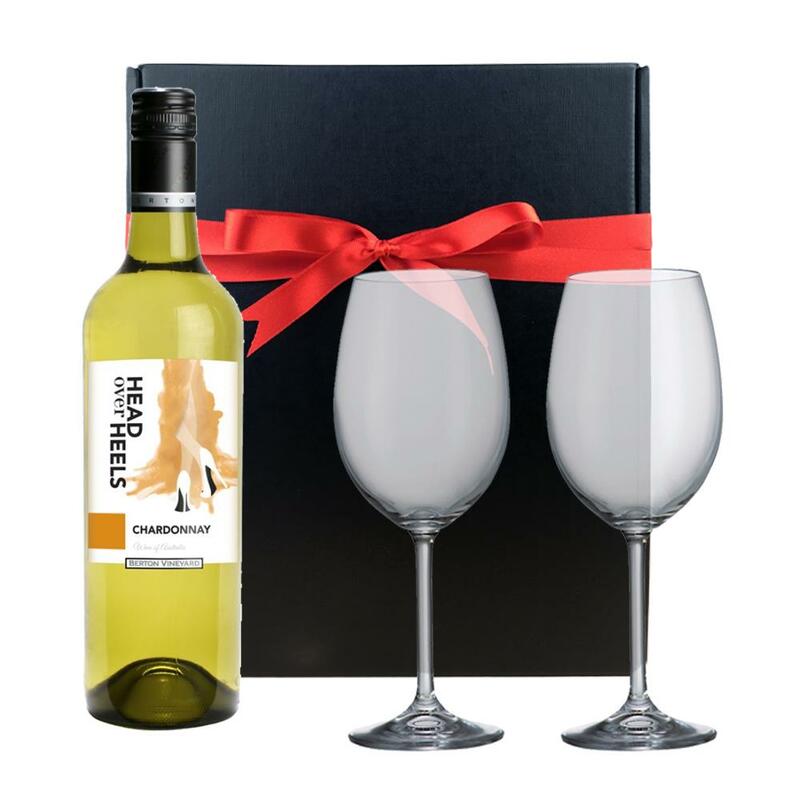 This gift includes a bottle of Head over Heels Chardonnay and 2 Bohemia Wine Glasses (450ml) all presented in a black gift box, all ready for opening, enjoying and relaxing wherever you may be. Medium pale straw in colour, this Chardonnay is an appealing fruit driven wine with aromas of candied citrus fruit, pear drop and ripe melon flavours that continue to a long finish This product is hand packed onsite by Bottled and Boxed, and is not affiliated with any other brand. Bottled and Boxed is responsible for this product combination/set.